Independent journalist and author Mike Cernovich has reported that current National Security Advisor, H.R. 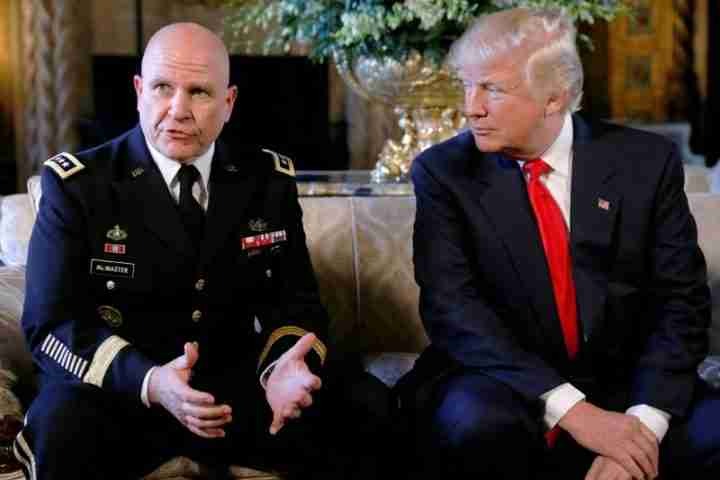 McMaster is manipulating intelligence reports given to President Donald Trump regarding Syria to push for an invasion in Syria. Cernovich alleged that Petraeus’ influence in the NSC remains strong and he is working through McMaster. McMaster is plotting how to sell a massive ground war in Syria to President Trump with the help of disgraced former CIA director and convicted criminal David Petraeus, who mishandled classified information by sharing documents with his mistress. As NSA, McMaster’s job is to synthesize intellience reports from all other agencies. President Trump is being given an inncurate picture of the situation in Syria, as McMaster is seeking to involve the U.S. in a full scale war in Syria. Sources also suggest that McMaster is sharing classified information with Petraeus, whose security clearance was revoked. Cernovich stated that General Mike Flynn and Steve Bannon were standing between the plan to start a war in the Middle East. Two men were standing in between another U.S.-led war in the Middle East and McMaster?—?General Mike Flynn and Steve Bannon. Flynn was removed after Susan Rice unmasked classified information concerning him. Bannon’s role within the White House was weakened by McMaster, who demanded Bannon be removed from his advisory position at NSC. McMaster’s friends in the media, as part of a broader strategy to increase McMaster’s power, have claimed Jared Kushner and Bannon had a major falling out. In fact Kushner and Bannon are united in their opposition to McMaster’s plan. If McMaster and Petraeus have their way, America will find itself in another massive war in the Middle East. Mike Cernovich is the same independent journalist who broke the Susan Rice unmasking story before the mainstream media.